Liszt made his public debut when he was nineteen years old. Soon afterwards prince Esterhazy heard him and was much impressed. Funds were raised for a serious musical education and Liszt went to Vienna to study composition with Salieri and piano with Czerny. After two years he was set to pursue his studies at the conservatory in Paris, but Cherubini, then the director of that institution, refused to admit him because he was a foreigner. After a further private eduction he played at the houses of rich families and in 1824 he made his debut in London. He caused a sensation and soon played at Drury Lane and before George IV. The experience of seeing him perform usually put his audiences in Paris in a state ecstasy and when in 1830 he met Paganini, Berlioz and Chopin, they inspired him to exploit his romantic spirit and to find his own style as a composer. The duchess d'Agoult left her husband in 1833 to follow Liszt and their liaison resulted in three children: Blandine, Cosima and Daniel. They separated in 1839. Under her writer's name Daniel Stern, Marie D'Agoult published the novel "Nélida", relating her relationship with Liszt. He probably never forgave her for doing so. Among Liszt's many other affairs with women was the one with Lola Montez, ending in Liszt locking Montez into a hotel room and running away himself. When count Festetics heard Liszt in Vienna he immediately invited him to Pecs, where he gave a famous concert on January 4th, 1840. On that occasion he received a sword in the name of the people. In 1848 he was in Ukraine, where he stayed at the estate of the rich Caroline of Sayn-Wittgenstein. They fell in love and allthough she was married they left for Weimar, the city that had offered him the position of Court Conductor long before. He held this position in Weimar from 1848 to 1861. There he conducted the first night of Wagner's Tannhäuser on February 16, 1849. In Weimar he wrote the Faust and Dante symphonies and twelve symphonic poems. In 1856 composer and pianist Hans von Bülow asked for Cosima's hand. Liszt thought him a strange man, but after Marie d'Agoult had spoken against the marriage Liszt gave his approval. In 1859 his son Daniel died in Berlin. 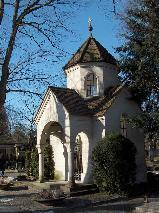 In 1861 they went to Rome to seek an annulment of Caroline's marriage. But after this was granted but her family prevented her from marrying Liszt, fearing that her daughter from her first marriage would lose her rights. Liszt resigned from Weimar and decided to stay in Rome. Princess Caroline now devoted all her energy to writing a huge work called "The Inner Causes of the Outer Weakness of the Church" and she was continuously smoking black cigars whilst writing. Liszt lost his daughter Blandine in 1862 and turned to religion. He lived for a while at a cloister in the church of Santa Maria del Rosario on the Monte Carlo. In 1865 he took minor orders and became an Abbé. When Gregorovius saw him in Rome he cried "Mephistopheles disguised as an Abbé". He took appartments in Rome and resumed his work as a piano teacher. Around this time he had his last known love affair with the young Olga Janina, who managed to seduce him after he initially resisted her (she even threatened him with a revolver because of her love for him). From 1869 onwards he also worked at Weimar again, where he offered a masterclass to young musicians. His daughter Cosima left Von Bülow to join Wagner and eventually she married him. Allthough her seperation from Von Bülow caused an estrangement between Liszt and Wagner, Liszt still supported Wagner's musical cause, against the wishes of Caroline. In 1872 a reconcilation between Wagner and Liszt followed, despite the princess' objections. From 1869 to 1886 Liszt spent most of his time in Rome, Weimar and Pest. In 1886 he did a final tour and played in Antwerp, Brussels, Paris, Weimar, Bayreuth, Luxemburg and at Windsor Castle for queen Victoria. On his way to Bayreuth he caught a chill and after the doctor allowed him to drink his daily bottle of brandy congestion of the lungs followed and he died on July 31st. Cosima buried him and went on with the Bayreuth Festival that took place at the time. 31/7/1835 Piano duel between Franz Liszt and Sigismond Thalberg. It was held at the home of the home of Countess Cristina Belgiojoso. They were both proclaimed victors afterwards. 0/4/1839 Count Leo Festetics hears Franz Liszt for the first time in Vienna. As a result he immediately invited Liszt to come to Pest. 4/1/1840 Triumph for Franz Liszt in Pest. He gave a concert at the Hungarian Theatre and was presented a sable of honour by the public. 16/1/1840 Franz Liszt performs in Györ. After the concert the bishop of Györ, Sztankovics, offered him a lunch in his palace. 7/1/1857 Premiere of Piano Concerto No. 2 by Franz Liszt. It was performed in Weimar. Liszt had dedicated it to his pupil Hans von Bronsart who was at the piano. Liszt was the conductor. 7/4/1886 Franz Liszt performs for queen Victoria at Windsor Castle. He had played for her before. He was visiting London and caused much exitement when he visited several performances of his own works. 19/7/1886 Franz Liszt attends a concert in his honour at the Casino of Luxembourg. At the end of the event he played three of his own compositions. He was in bad health and it was his last public performance. the next day he left for Bayreuth. 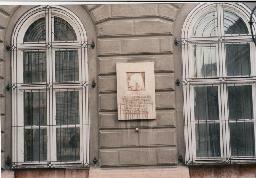 Plaque for Franz Liszt at the Music Academy, Budapest. 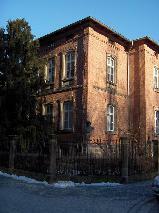 A small Liszt Museum is located here. Franz Liszt at the Piano, painted by Elisa Ransonnet-Villez (Liszt Museum, Budapest). "Ferenc Liszt" by Mihály Munkácsy (Hungarian National Museum, Budapest). 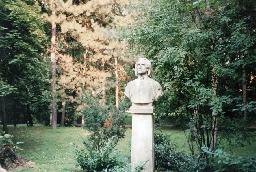 Bust statue of Franz Liszt at the Margaret Island, Budapest. 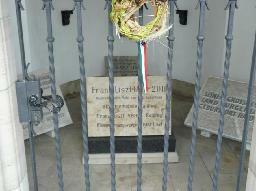 The mausoleum of Franz Liszt at the Stadtfriedhof in Bayreuth. 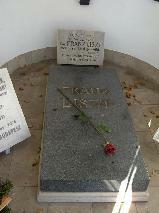 Inside the mausoleum of Franz Liszt at the Stadtfriedhof in Bayreuth. 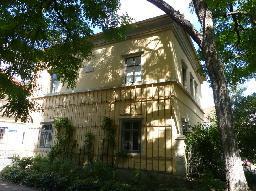 In the house in Bayreuth where Franz Liszt died is now a small Liszt museum. 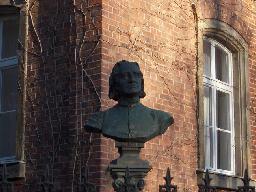 Bust of Franz Liszt in front of the house in Bayreuth where he died. 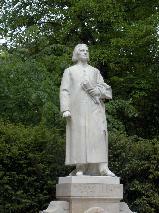 The statue of Franz Liszt at the Park an der Ilm, Weimar. The mausoleum of Franz Liszt at the Stadtfriedhof, Bayreuth. 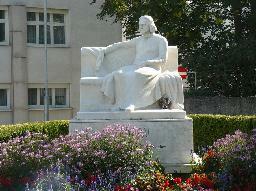 Statue of Franz Liszt in Eisenstadt. 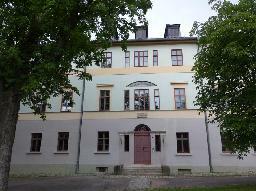 The Villa Altenburg in Weimar where Franz Liszt lived from 1848 to 1861. 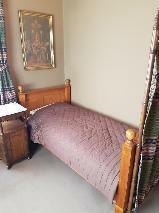 The bed of Franz Liszt at his house in Weimar.